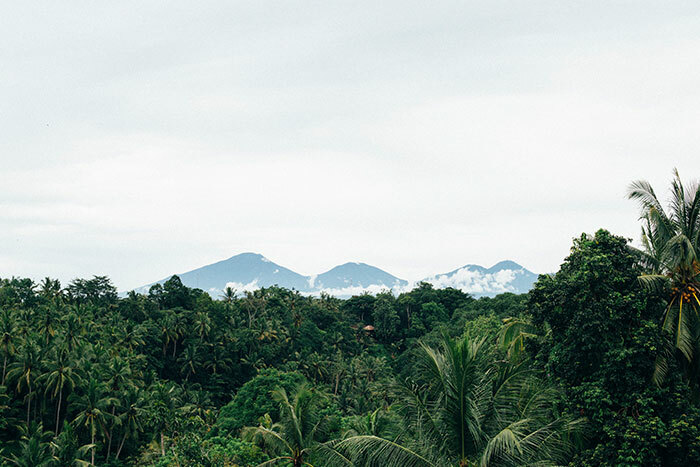 Extensive paddy fields and rice terraces, craftsmen and artisanal goods, yoga and zen living; Ubud is undoubtedly the cultural heart of Bali with all of these (and more). 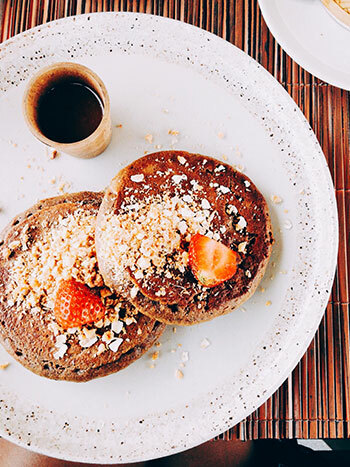 After Elizabeth Gilbert’s best-selling memoir Eat, Pray, Love threw the spotlight on the region, the neighbourhood’s popularity has continued to grow, and it’s here that Bisma Eight has set down its roots. 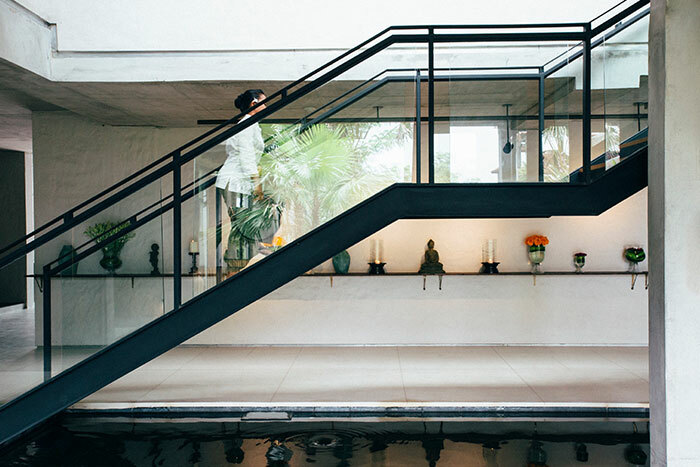 Less than a year old, Bisma Eight captures the cultural essence and artisanal heritage of Ubud in an understated yet luxurious manner – offering all the amenities of a high-end resort in an unpretentious location that encourages spatial awareness and healthy living. Upon arrival, I was greeted with warm welcome (even the security!). 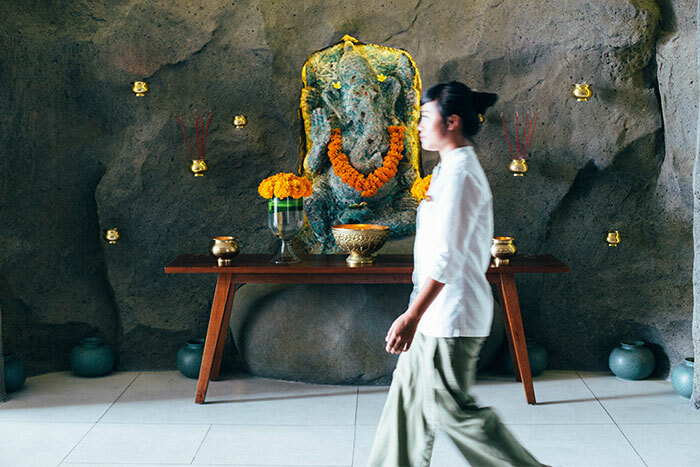 Check-in happened without a hitch and they handed us a Balinese bouquet of flowers to make an offering – and a wish – to the one of the Balinese gods. Thereafter, one of the hotel ambassadors from the front desk led me through the “forest path” to the Canopy Suite. 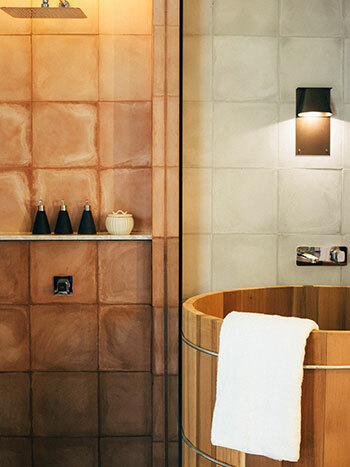 At a spacious 54 square metres (581 square feet), the suite featured all the trappings of a localised, luxury boutique hotel. 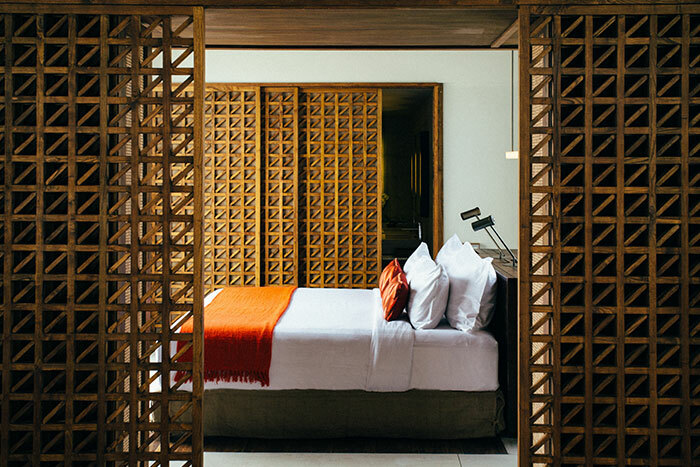 From contemporary teak wood furniture to ikat print pillows, plush bed linen to woven jute rugs – many of the homewares in the suite were produced by Ubud’s artisanal community. What really impressed me, however, was the voluminous Japanese-style onsen tub. Crafted from aromatic cedar wood, you’re in for a relaxing deep soak with Bisma Eight’s house bath salts, which are made by small-batch Balinese soap makers, Republic of Soap. If you’re looking to chill out and soak up some sun during the day, the property’s rooftop infinity pool offers a great view of Batu Karu while the Pool Pavilion‘s modern tropical bar has an extensive food menu. 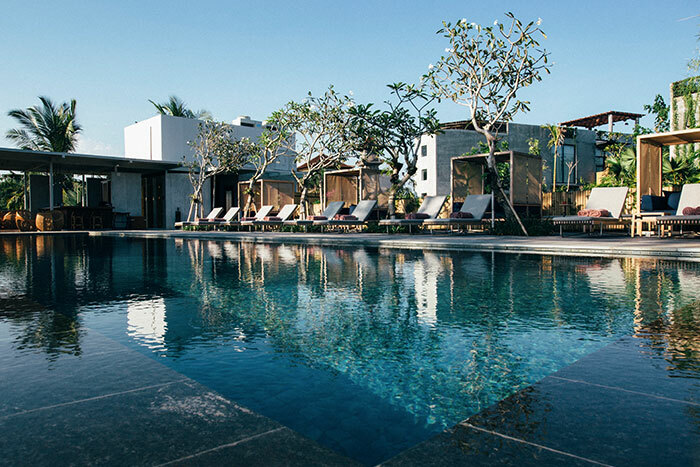 Bisma Eight is also home to Ubud’s only temperature-controlled pool, to accommodate the island’s cooler climates from July to August. 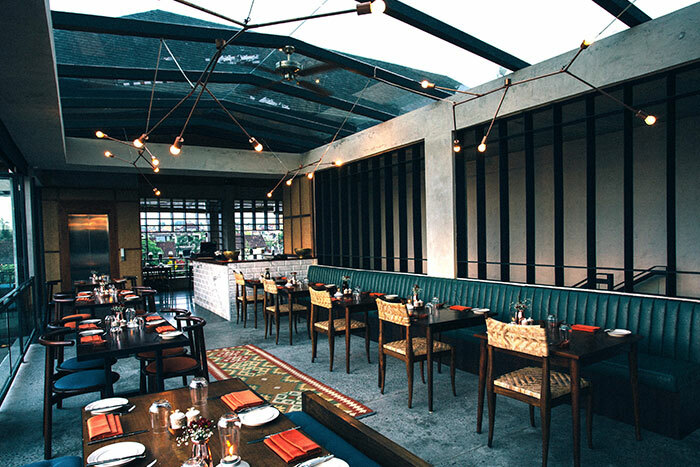 The main dining option onsite is Copper Kitchen & Bar, which features soul food with an Ubud sensibility. Every dining experience begins at Bisma Gardens, the hotel’s own organic farm, which supplies fresh produce to the kitchens. 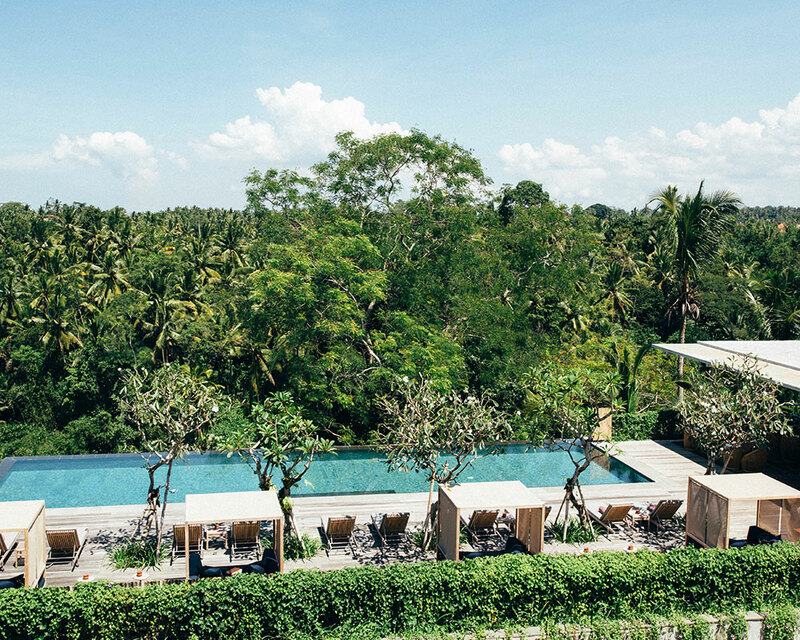 A firm nod to the agricultural traditions of central Bali and a commitment to sustainable living, guests can forage for their own vegetables to add to their meals, creating a deeper understanding of the farm-to-table concept. 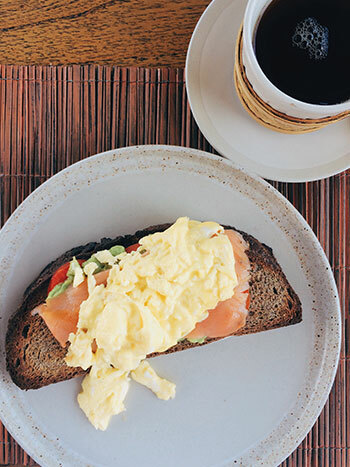 From the large breakfast spread, try having toast with avocado and the salmon and oat pancakes. On the dinner menu, expect entrees like carrots cooked with labne, kohlrabi, fennel, cashew (RP 65k) and mains like sea bream (RP 150k). With 38 spacious suites spread over three categories – Garden, Canopy, and Forest – that highlight the vibrance and lush greenery of its immediate surroundings, the rooms are designed to induce the sensation of a dreamy hideout, which is what will induce guests into returning to Bisma Eight. Hooked yet? They also have packages catering to honeymooners, foodies, and adrenaline seekers. Bisma Eight is located at 53 Jalan Bisma, Gianyar, Ubud, Bali, Indonesia. Garden Suites start from US$196 per night, inclusive of breakfast.